The statuary of the Mangbetu tribe is outstanding if only from the questions they generate, and their unique looks, incorporating full body scarification, and aspects of head elongation. 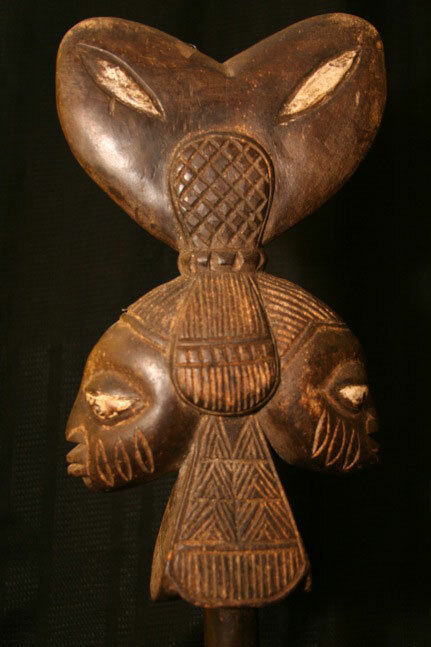 On a personal note Collecting African Tribal Art goes beyond simply hoarding, and trading, In this case, the piece below led to research which introduced me to the music of Nina Simone, her life story, her contribution to the civil rights movement, and her commitment to developing her musical ability. The Mangbetu are located in the northeast area of the Democratic Republic of the Congo. 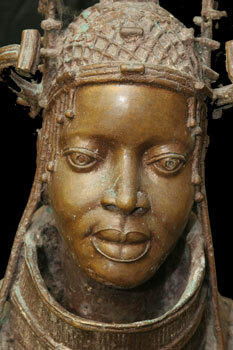 The Mangbetu had a distinctive look and this was partly due to their elongated heads. At birth the heads of babies’ were tightly wrapped with cloth in order to give their heads the streamlined look. The practice began dying out in the 1950s with the arrival of more Europeans and westernization. 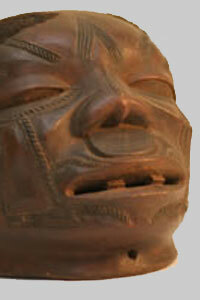 Because of this distinctive look, it is easy to recognize Mangbetu figures in African art. Cranial deformation may have played a key role in Egyptian and Mayan societies. Queen Nefertiti is often depicted with what may be an elongated skull, as is King Tutankhamen. The Mangbetu have a good reputation for the quality of their art, and music (see for example the Mangbetu harp).